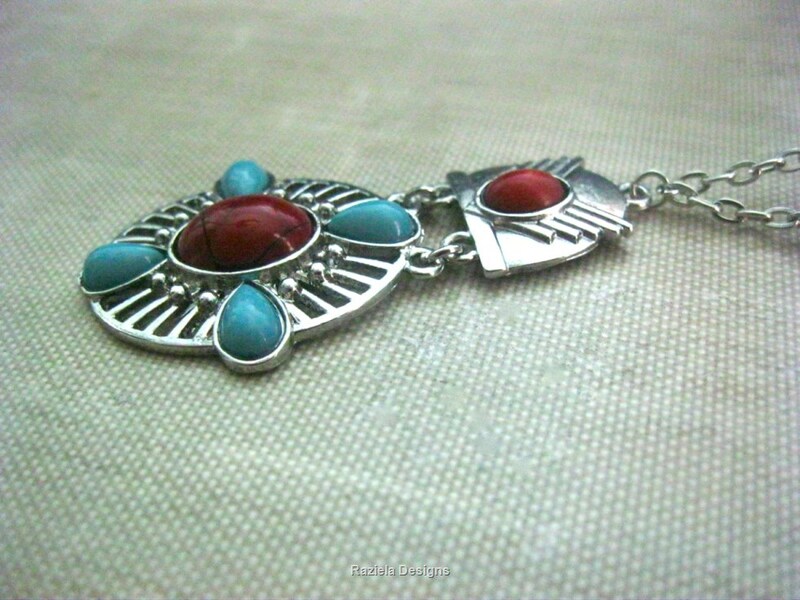 Stunning Red Jasper with turquoise colored Howlite necklace, and rich red crystal accents. This Southwestern themed beauty will catch attention and spark the imagination. Stainless steel and German Silver wire wrapped gemstones and crystals form a beaded chain for the lovely silver plated copper center piece with resin gemstones. Silver plated copper link chain adds the perfect contrast. Lobster claw clasp finishes the piece. Caution - this item contains Nickel. If you are allergic to Nickel, please notify me when ordering and I will remove the German silver and replace it with Stainless Steel.